The Rifle is “The queen of personal weapons”, according to Jeff Cooper. 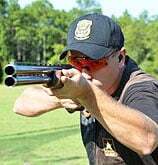 The Gunsite 270 Class is to the rifle what the Modern Technique is to the pistol. This is a comprehensive course in the essential elements of safety. Class is limited to 12 people. 2 Gunsite Instructors will ensure you receive the proper coaching to dramatically increase your skills.The course meets the requirements for an AZ CCW permit. You will be well grounded in the Modern Technique of the Pistol, including marksmanship, gun handling, combat mindset, and the elements of the Combat Triad. Through our systematic and dynamic methodology. The advanced carbine class has been renowned by combat veterans from every theatre operations in the last 35 years. 556 is the course for those who will settle for no less than being the master of the carbine. This class is offered as a tutorial You set the dates and tell us what you want to accomplish. In the Hunter Prep class you will fit and test all the gear you are going to carry into the Range estimation, scope field. 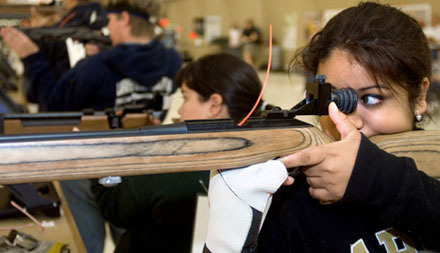 Our Mission To Promote, Protect And Preserve Hunting And The Shooting Sports.